For turning a pop icon into a sculpture, I picked Bratz and Easter Island. I first got rid of the original statues and replaced them with the Bratz. 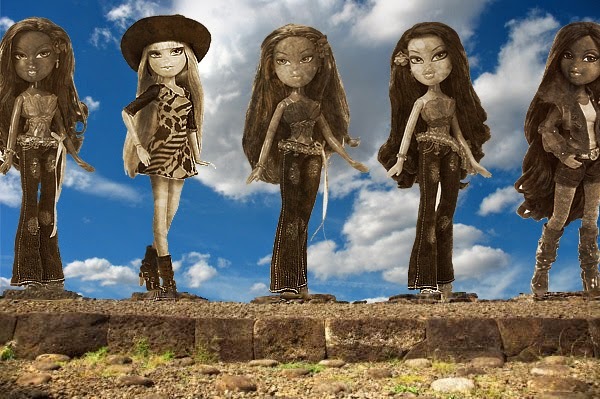 I then took the Bratz and made them black and white with hue saturation. I then increased the color balance to more red and yellow so it would match the stone. I also overlayed a picture of stone on top so that they would look like they were actually made of stone.